David Cutler has developed an impressive record of achievement in both academia and the public sector. He served as Assistant Professor of Economics from 1991 to 1995, was named John L. Loeb Associate Professor of Social Sciences in 1995, and received tenure in 1997. 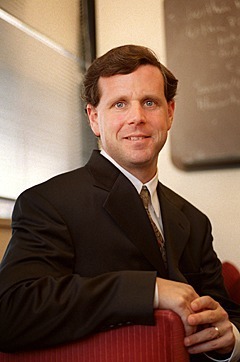 He is currently the Otto Eckstein Professor of Applied Economics in the Department of Economics and was named Harvard College Professor in 2014. Professor Cutler holds secondary appointments at the Kennedy School of Government and the School of Public Health. Professor Cutler was associate dean of the Faculty of Arts and Sciences for Social Sciences from 2003-2008. Please e-mail Clare Dingwell for an appointment. Attribution of Health Care Costs to Diseases: Does the Method Matter?